Ultra Fine for fine surface finishing to Very Coarse grade for tough industrial jobs. 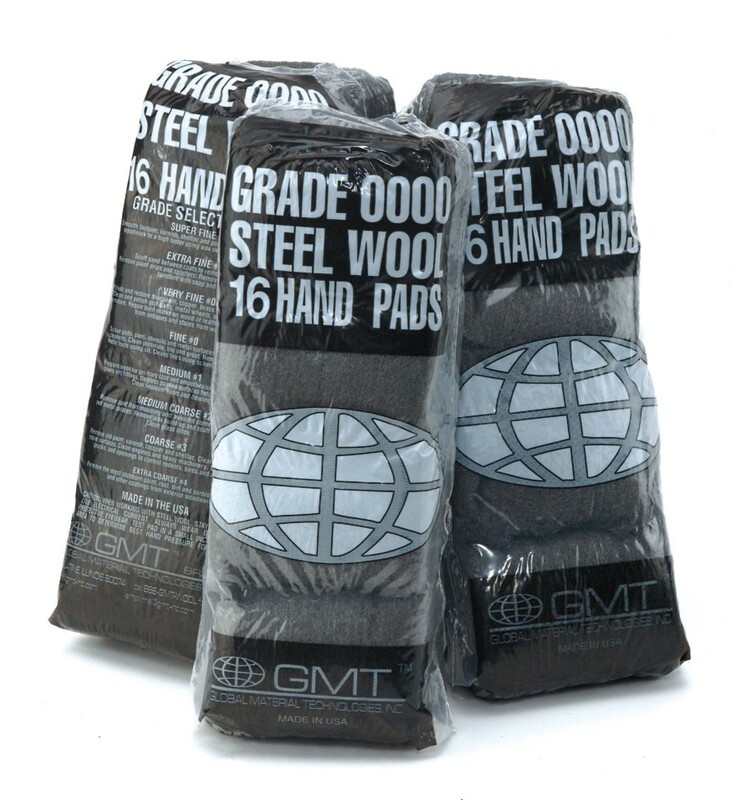 GMT offers consistent grading and 100% inspection to ensure good quality. Packed 16 pads per poly bag, 12 polybags per case. Smooth lacquer, varnish, shellac, and polyurethane. Buff furniture and woodwork to a high luster using wax or oil. Scuff sand between coats to remove imperfections. Remove paint drips and splatters. Remove wax or polish from fine furniture with soap and water. Polish and restore aluminum, copper, brass and other bright metals. Clean and polish golf clubs, metal wheels, screens and metal lawn furniture. Repair burn marks on wood or leather. Remove old finishes from antiques and stains from wood floors. Scour pots, pans, utensils and metal surfaces using non-abrasive cleaners. Clean porcelain, tile, and grout. Remove rust and protect metal tools using oil. Clean tires using scouring powders or cleaners. Prepare wood for primary coat and smooth raised grain. Clean copper pipes and fittings. De-gloss painted surfaces before applying coatings. Clean linoleum floors and bowling balls. Remove paint from molding and awkward corners. Etch porcelain and metal surfaces. Remove wax build-up and scuff marks from floors. Remove paint, varnish, lacquer, shellac, rust, and dirt. Clean rough metal or stove surfaces. Clean engines and heavy machinery. Strip paint and other coatings from exterior woodwork. Tuck into holes, cracks, and openings to control rodents, birds, and other pests. For the toughest industrial cleaning jobs. Remove paint, rust, varnish and dirt on a wide range of rough surfaces.